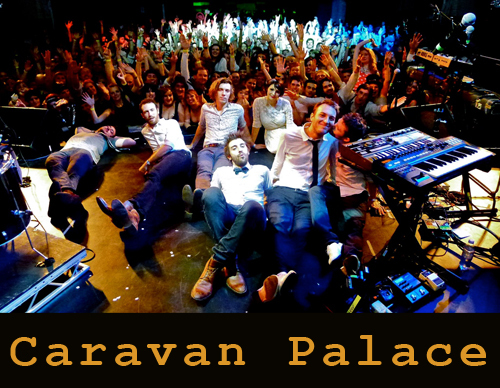 This Friday night, Caravan Palace from Paris are going to rock Zurich! No one will be able to stand still once they’ve started their “Electro Swing” and “Gypsy Jazz”. It is an absolute must for crazy swing dancers and lovers of the golden 20s. Let yourself be carried away by their happy music. Well then, see you at Kaufleuten on Friday night, January 18. For lovers of: Parov Stelar, Swing Republic or Lyre le Temps.